Gone are the days of scoffing at those 14 grams of fat on a bag of almonds. The reputation of nuts has seen a resurgence in recent years, with research proving their healthy unsaturated fats and high protein content make people less likely to gain weight compared to those who adhere to fat-free diets. Now, there’s even more reason to eat them by the handful. 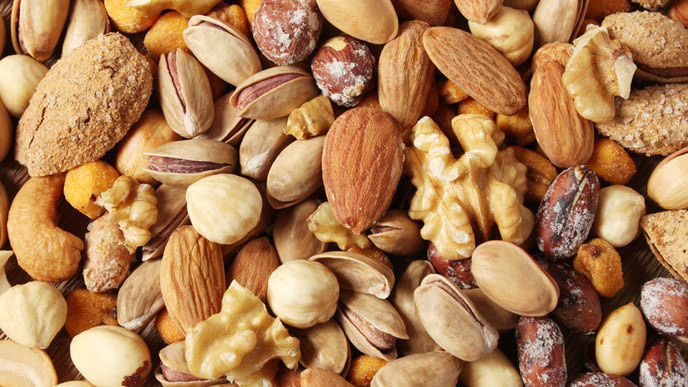 Harvard researchers have found that nut-eaters are less likely to die of any health-related cause—particularly cardiovascular disease—even when accounting for differences between ethnic, racial, geographic and income groups. A few reasons why nuts are so beneficial? They lower ‘bad’ LDL (Low-density lipoprotein) cholesterol while raising the ‘good’ HDL (High-density lipoprotein) cholesterol and decrease blood pressure. To get the most health benefits from nuts, opt for raw, unsalted versions and store in the fridge so they stay fresh longer. What are some of your favorite nutty snacks? Share them with us in the comments!